Vincent was on time. Very professional and did a good job. Went through what he had done. 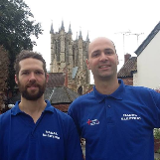 Jamie and Sam from Nadal electric were very professional, kept in contact throughout and I am very pleased with the work they have done I would definitely use them again. He turned up on time, Explained his work before and after he finished and as he said the certifacate was sent to me within 2weeks Very clean worker Yes i would reccomend him to everyone. Thankyou. highly recommend this guy. Quick, reliable and the price quoted was the price I paid. I will use again. The professionalism, the customer care, the continual updating, the sympathy with our home, the lovely humour and the reasonable cost made a rewiring event - dreaded by us - an almost enjoyable experience. Vincent and his team are excellent. On time, on cost and with great care they completed the job with no fuss. We can recommend Nadal Electrics to anyone without reservation. A gem in the electrical trade! 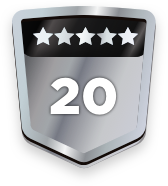 Excellent contact, friendly and got the job done quickly. Good value quote and when a light broke as a result of the work, this was quickly replaced.